Want to be notified of new releases in froala/angular-froala-wysiwyg? The angular-froala-wyswiyg project is under MIT license. However, in order to use Froala WYSIWYG HTML Editor plugin you should purchase a license for it. 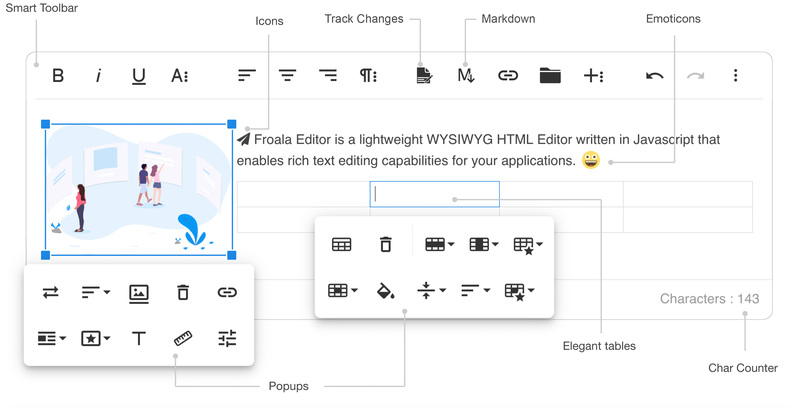 Froala Editor has 3 different licenses for commercial use. For details please see License Agreement. If you want to contribute to angular-froala-wyswiyg, you will first need to install the required tools to get the project going.